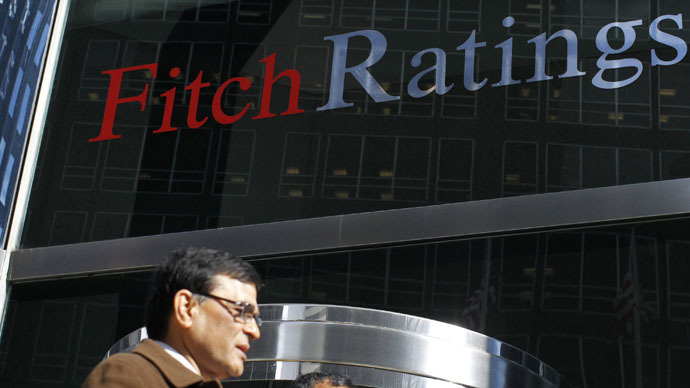 Low oil prices should not directly affect the ratings of Russian oil and gas companies, as they have sustainable loan burdens and stable revenues, Fitch rating agency has said. The possible tightening of sanctions, lack of external financing and the downgrade of the country’s sovereign debt rating are more important issues for the Russian oil and gas industry, the agencysaidin a report Monday. “Another risk is that the state may indirectly pressure oil companies to keep domestic oil and gas product prices, which face upward pressure from the falling ruble, below the export netback price to avoid public discontent and curb inflation,” the report added. Stress tests by Fitch suggest that the oil price won’t rise in the near future, and in 2015-2017 will be hovering around $55 a barrel. If the ruble exchange rate against the dollar remains around 60, the loan burden of energy companies will allow them to maintain the current ratings, said Fitch experts. Fitch’s estimates differ from those made by Moody’s and S&P which have downgraded some of the largest Russian companies, such as Gazprom, Transneft, LUKOIL and Rosneft. However, the outlook matches that from China’s Dagong rating agency, which on Monday gave the highest investment AAA grade to Russian energy giant Gazprom, keeping its long-term outlook ‘stable’.